“Where to purchase gemstones” is a question that often haunts us whenever we are told by an astrologer to put some specific stone on our body. We will today give an answer to this question of yours for ever. Well the first step in buying a gemstone starts with the astrologer who has suggested it to you. Ensure that you take down all the details that the astrologer suggests. Details mean the size of the stone, the colour of the stone, the ratti of the stone, the cut of the stone and most important of all the shape of the stone. The first point we would like to suggest in where to purchase gemstones is that buy it from the astrologer if he is selling it. This is so as he will have the best knowledge of the stone that you require. If you don’t follow the details that he suggested you then you may either buy a stone that is stronger or weaker. Both the scenarios can be a problem. Sometimes if the astrologer himself is not selling the stone he can give you an idea about where to purchase gemstones. You can buy from the place suggested by the astrologer. If the astrologer you are consulting don’t know of any one then you will have to buy the stone all on your own. You can contact you own jeweller whom you trust or you can go with a jeweller suggested by your friend or family. It is very important that you give the jeweller the details of the gemstone that you have been suggested. They can help you only when they have the exact details available. Else they will not be able to help you with the required stone. One very important factor that you must keep in mind before buying a gemstone is that show it to the astrologer before you give it for making. The stone if not as per your requirement then you will not get the results from the same. Always keep a certificate of the stone. Tell your jeweller to give you a certificate on the stone that you have bought. The certificate should have details like the weight, the size, the shape of the stone. The certificate must be sealed by the Jeweller and must be accompanied with a valid bill. Do check all the details before you leave the shop. This is very important. No matter how trust worthy your jeweller is you must do these basic checks. Always try to pay through a card. This will help you find the record in the bank statements in case there is some problem later. The jeweller will tell you that if you pay by debit or credit card you will have to pay an extra tax. Tell the jeweller that you are ok with it. Payment by card is much safer and the jeweller will not be able to deny the sale. A bank statement can be a good proof in court too as it is a legally accepted document. While buying a gemstone do check few points. For example do check if there are any spots in the stone. The stone should never have a crack on it. Place the stone against a ray of light and see if you can see any dark spots in it. If there are any dark spots in the stone then never buy it. You can also check the weight of the stone. These are the basic checks that a person who is not very well aware of gem stones can do. The cut, clarity and other intricate details can only be spotted by an expert or by the astrologer you are consulting. 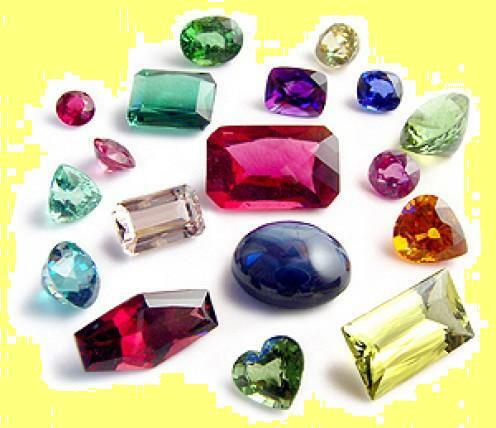 Another very important point in where to purchase gemstones is to keep the bill in place. Never lose the certificate and the bill. Always keep them in a safe place for future reference. Just buying a gemstone is not enough you will also have to make a pendent or a ring for it. Do find out from the astrologer if you should make it with silver or gold. The metal keeps changing from stone to stone. For example a diamond must always be put in gold and a sapphire must be put in silver. Today both gold and silver are very expensive. Before you give the stone for making jewellery ensure that you place the stone under your pillow for few nights. If you don’t get any bad dreams then you can be rest assured that the stone will suit you. Post this test you can give the stone to the jeweller. This will also ensure that the jeweller from whom you bought it will take the stone back and replace it with another gem or jewellery. The jewellers will never take back a gem stone that has been embedded in jewellery. When you give the stone to a jeweller for making, ensure that you can trust them. Some jewellers can even replace the stone while making the ring. While giving the stone to the jeweller ensure that you make a receipt that has all the details of the stone that you are giving them. After the jewellery is made do take it to the astrologer or an expert you know to ensure that the stone was not replaced. In this article on where to purchase gemstones we would like to tell you that there are labs where the authenticities of gems are checked. You can get your gemstone certified from these labs in case there is any discrepancy you can even sue the jeweller for giving you a false stone. All consumers must be aware if their rights so that no jeweller or shopkeeper can dupe them. I hope these points that we have discussed in today’s article on where to purchase gemstones will help you a lot in buying the required gemstone that you need for yourself or anyone in the family. Buying a gemstone is not that difficult. You should only ensure that you are careful while you buy the stone and keep these simple points in mind.